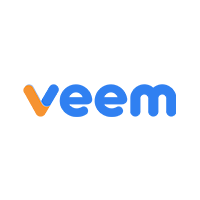 Veem is a global payments company trusted by over 100,000 small businesses around the world. We let businesses pay their vendors, suppliers and contractors anytime, anywhere with our easy to use platform. Using our proprietary multi-rail technology, businesses send or receive money in a click, can track their payments end-to-end, and even connect to their favorite accounting software. Our mission is to revolutionize the legacy financial payment system by offering enterprise level financial services and negotiating power to the small businesses who need it most.